Some classics never go out of style. 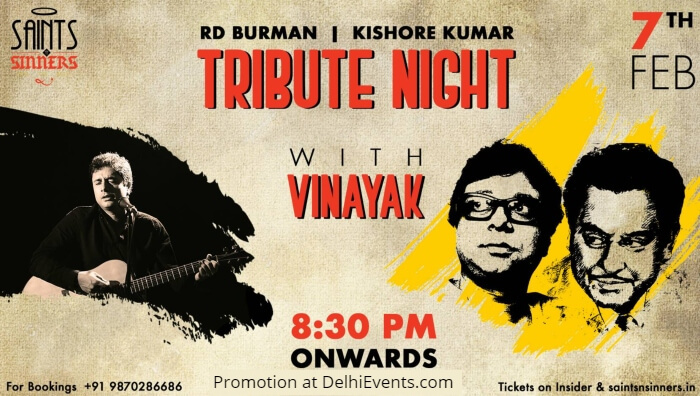 Saints N Sinners presents, R D Burman & Kishore Kumar Tribute Night With Vinayak. Get ready to sing along and raise your glasses to the evergreen music of these great musicians!